Welcome to my first collection of songs. 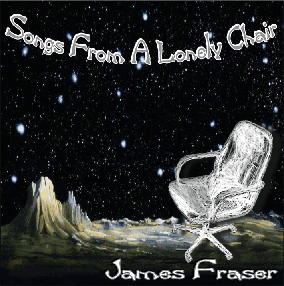 These were all written and recorded between 2007 and 2008 in my little home studio, on my lonely chair. Hopefully they demonstrate the gradual development of home recording techniques and song construction. Most of my songs have been written for internet music forum contests. This means that they are made to a theme and a time limit. I have grouped them into several loose categories. Songs 1 to 4 have been influenced by work I have been involved in with my local regeneration group. I have included a set of folk standards with 5 to 7. Songs 8, 9 and 19 all have personal tales to tell. Songs 10 to 13 are all short pieces written to themes whereas songs 14 to 18, although written to themes, have an element of fun attached to them! I would like to dedicate this collection to my family who have suffered my musical invasions with great dignity.